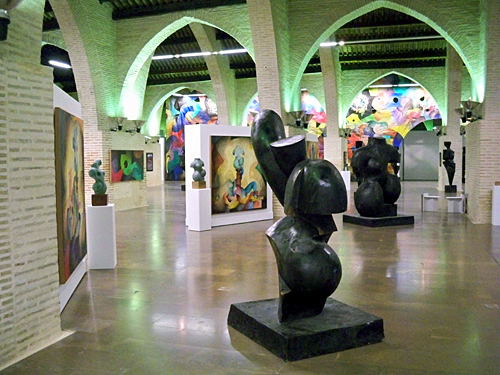 In a new exhibition running at Las Atarazanas in the neighborhood of El Grao (location), the artwork of native Valencian Rodolfo Navarro is featured. Under the title “Plastic Interaction”, we’re introduced to the various facets of the artist’s work. 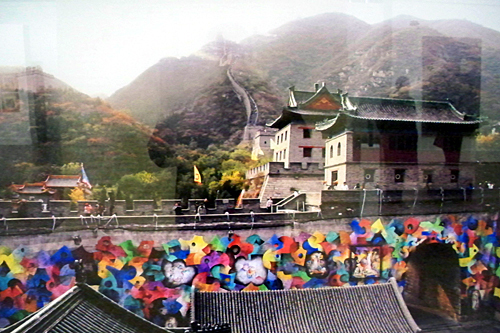 Navarro’s most impressive achievement is his partial covering of the Great Wall of China with his cubist-type shapes and colors. He’s done the same in Valencia, Wolfsburg (Germany) and Fontainebleau (France). 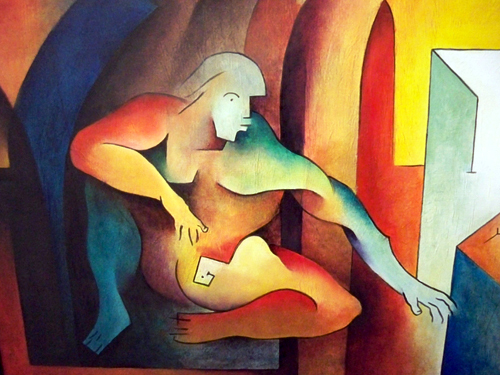 The Atarazanas turns out to be a great location for Navarro’s work — over 200 pieces are on display. 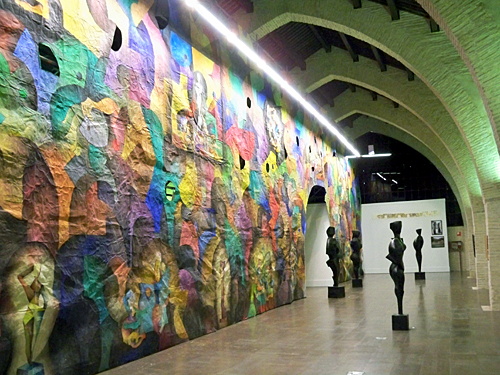 From portraiture to photography, to sculpture, el valenciano seems to dabble in everything. You have until January 17th to check it out.